With a changing body thanks to this pregnancy comes a need for a changing wardrobe; something that can help me transition through the growth of my baby bump and beyond. One of the essential items on my maternity clothing list was to invest in some good quality flat shoes. I have my eyes on a pair of Adidas street shoes that Santa just might bring me but when my husband asked me what I wanted for my birthday I knew what my answer had to be. I fell in love with Shoes of Prey three years ago when my girlfriend helped me design my wedding shoes using the custom-design shoe company. If you aren’t familiar with this design power house you really need to be. Shoes of Prey is now a global retail brand that enables shoppers to design their own shoes online. Since 2009, the Australian company has specialised in flats, heels, wedges, sandals, boots and more that can’t be found anywhere else – because every inch of them is custom designed. Since my wedding day I have invested in some more pairs of heels but I had been wanting to get my hands on some of their ballet flats for months now. While the style is simple and classic, with just a subtle bow added at the toe, I paid particular attention to the choice of leathers. 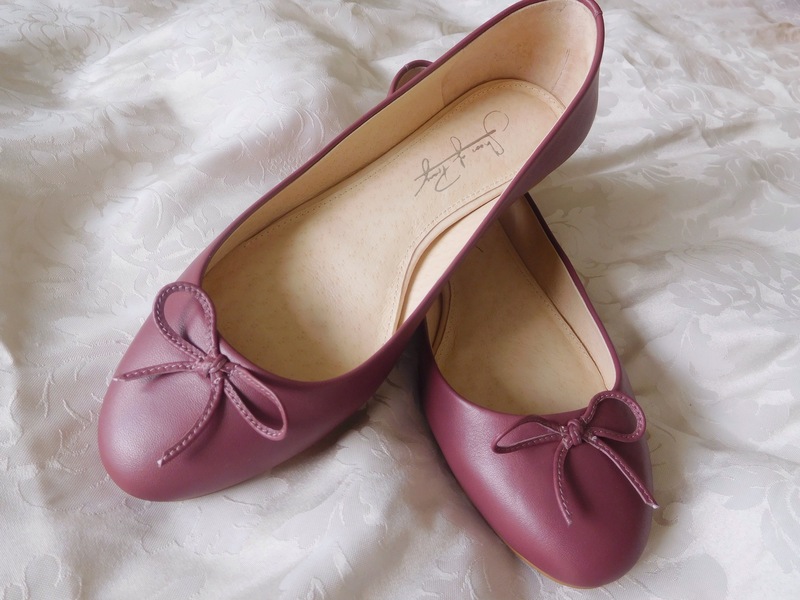 I ordered one pair in the most beautiful Italian pebbled leather in camel and another in a gorgeous rich shade of plum. What I love most about these flats is the supportive insole and solid base that so many ballet flats lack. The fact that they are also beautiful is an added bonus! Have you ever designed your own shoes? What do you look for in a perfect pair?